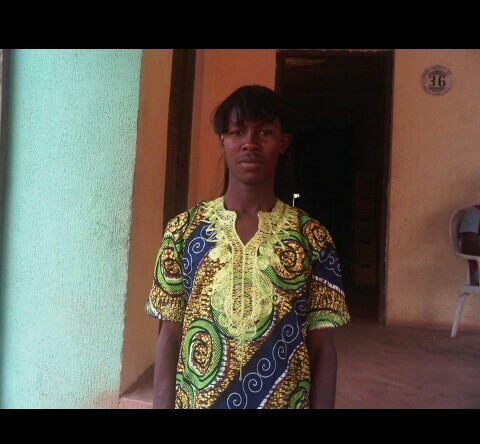 A young man, Okoro Osagbokan Destiny is wanted by security operatives for allegedly indulging in homosexual act. Destiny who is 16years old, whose father died in a bomb blast in Abuja in 2014 is in the news again for the wrong reasons. Homosexual act is viewed as TABOO, SACRILIGIOUS in this part of the world, hence punishable under section 214 of the Nigerian constitution as reviewed in 2014, with a jail term of 14years. It was alleged that the news of Destiny’s altitude of luring fellow students into homosexuality broke out recently. A situation which led to his expulsion from ST DAVID’S BOYS school in 2013. Investigation indicated that destiny after expulsion from school made away with the money paid to his family by government as compensation for his late father who died in the bomb blast. Sources who spoke to newsmen narrated that destiny who later resettled in Benin city, continued with his barbaric act. Destiny’s mother who threw her weight against her son ordered that he (DESTINY) be arrested and made to serve a 14years jail term since it is a sin against the federal government and that she forbids any of her children to be involved in such act. Sources stated that the community youth got wind of the homosexuality act being perpetrated by Destiny and vowed that that unless he disappeared from the surface of the earth, he will either be killed or made to face the 14yrs jail term. According to sources, Destiny has disappeared to an unknown destination when both security operatives and youths stormed his residence. He has been placed on a wanted list by both the community youths and security operatives of the NIGERIAN GOVERNMENT.